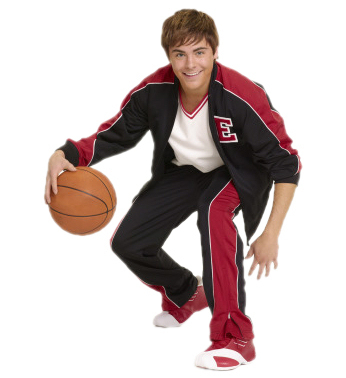 Zac Efron. . Wallpaper and background images in the High School Musical club tagged: high school musical hsm zac efron. This High School Musical photo contains pallacanestro, basket, and palleggiatore. There might also be giocatore di basket, basketeer, and cager.